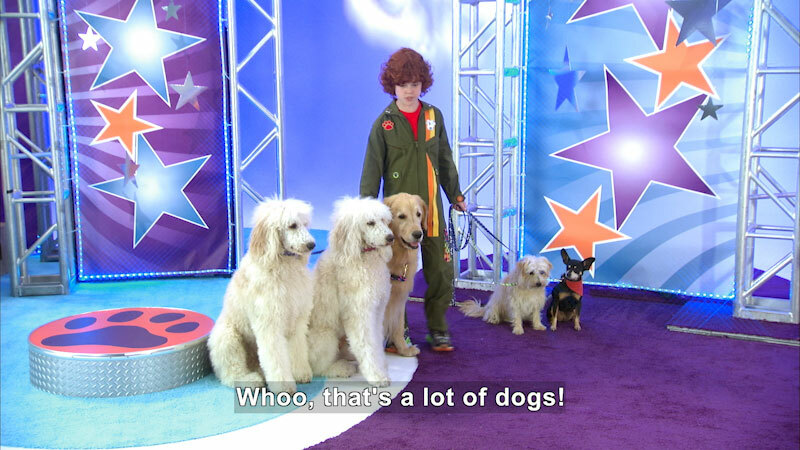 Buddy Sitandshake, a professional dog sitter, competes in a new doggy game show "Woof Out!" With the help of his friends, Buddy wins the grand prize and defeats his opponent Peter Poodlerino. Part of the "Mutt & Stuff" series.